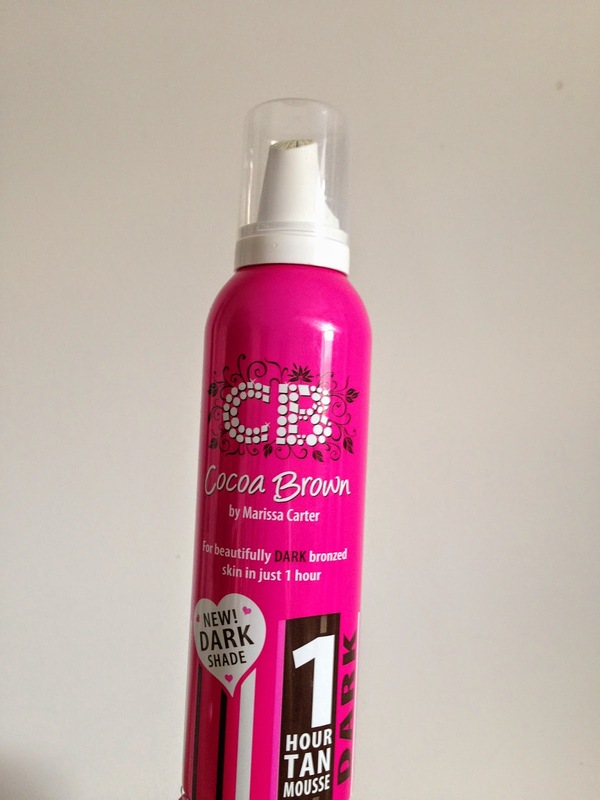 I picked up the Cocoa Brown 1 hour tan mousse and mitt from the Sheffield meet up last month. I have been eager to try this out as my tan is fading so I needed something to top this up with . It was dark and i am really pale when i have no tan so I was unsure how this would take to my skin as I know with previous fake tans I have been left with a orange tinge of colour, which nobody really wants. The tan works quickly in one hour or two hours depending on how deep you want the tan to look. I was a little brave and did sleep with this on overnight but i felt this would then sink more into my skin meaning that this then would last a little longer, I am unsure if this does actually make it last longer but it has worked previously in the past. The tan came with a mit, which every fake tanner knows is a must as you don't want to be left with bright orange hands. My current mitt was starting has seen better days and was ready to end up in the bin, so this was super useful. With some mitts I have noticed that the fake tan still managed to leak through but with this mitt it didn't so i was left with umps lumpa hands. When applying the fake tan I felt it was really easy to apply and it rubbed in easily into my skin. I haven't used many mousses before but I felt as it was really creamy it blended in really well, meaning the less chance of streaks or missing any body parts. After applying it dried really quickly and I felt with a few minutes I was able to sit down and put some clothes on (a nice mental image of me waiting for my fake tan to dry, it will make your eyes burn). This is a great bonus as I hate waiting for my fake tan to dry, it means you will take even longer to get ready and pre-plan your routine. Overall, I loved the fake tan it lasted three days before needing a good exfoliating in the shower. I am ready thinking of re-applying this again tonight to top my tan up again as who doesn't love a golden glow on their skin. The only niggle, which is a small one and it might just be me being heavy handed. When I did press down on the can it squirted EVERYWHERE, all over my bedsheets and floor. After I did this a few times I took precautions and applied this in the bathroom. So, before you apply make sure you stay away from anything white or you don't want turning orange.